Pukeora Estate is a stunning hilltop setting for our family run vineyard, boutique winery and function venue. Our wines under the Pukeora stable of labels are available for tastings and sales at our cellar door or via our on-line sales. Accommodation for groups of up to 116 people is available at reasonable prices. Happy browsing. Any comments/questions ? Please email us. Our regular weekend cellar door opening is now closed for the season (up to Feb). Through March and beyond, we are launching into our busy period of making wine and preparing for vintage etc. Sorry for the inconvenience of not being able to offer a cellar door service during this time. We may be able to provide a tasting/sales for a pre-arranged time depending on how busy things are etc. Pukeora was once a hospital, now hospitality is the name of the game. The Venue is the ideal centre to hire for an event. Please Note: From September 2017, our circumstances have changed due to Pukeora being on the market. We are only taking select residential bookings and are no longer able to provide inhouse hospitality unless specifically arranged. Some self-catered groups on shorter term bookings may still be able to be accommodated. We are happy to discuss bookings as they arise but please be prepared that we may not be able to accept a booking. We apologise for the inconvenience. The extensive indoor facilities are available for exclusive hire and represent extremely good value for money. They comprise sleeping accommodation for groups, large reception areas and classrooms, a commercial kitchen, and a pool. Groups of 20+ up to 116 people can be accommodated mostly in twin/double rooms. Meals/bar service can be provided or groups can hire on a self-catering basis. The stunning limestone hillside was purchased in 2000 with the principle purpose of planting grapes. Over the next 3 years 5 Ha of vines were planted and a small boutique winey was created in an original sanitorium basement. Award winning wines grown on our limestone slopes are available. 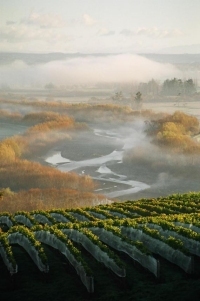 Our wines are sold under the Pukeora Estate label and the premium Pukeora Ruahine Range label. Our wines include Pinot Gris, Chardonnay, Pinot Noir, The Benches Red (Merlot based blend) and a "sticky" Noble Selection of chardonnay and semillion grapes. We have a summer cellar door open at weekends. On-line sales are also available. For more information see our Wine pages. ***** Gold Medal: Pukeora Ruahine Range The Benches 2013 ***** In the Royal Easter Show Wine Awards 2018 The Benches was one of 4 wines in the merlot dominant class to win a gold medal. The "Rumour" is True -> For Sale ! After an eventful and exiting 18 years Kate and Max have decided to put Pukeora on the market. However there is no rush, life goes on as normal for now. The Festival buzzed, the grapes are ripening, wines will flow and we'll still be here for a while yet ! For details please see TradeMe property listing. 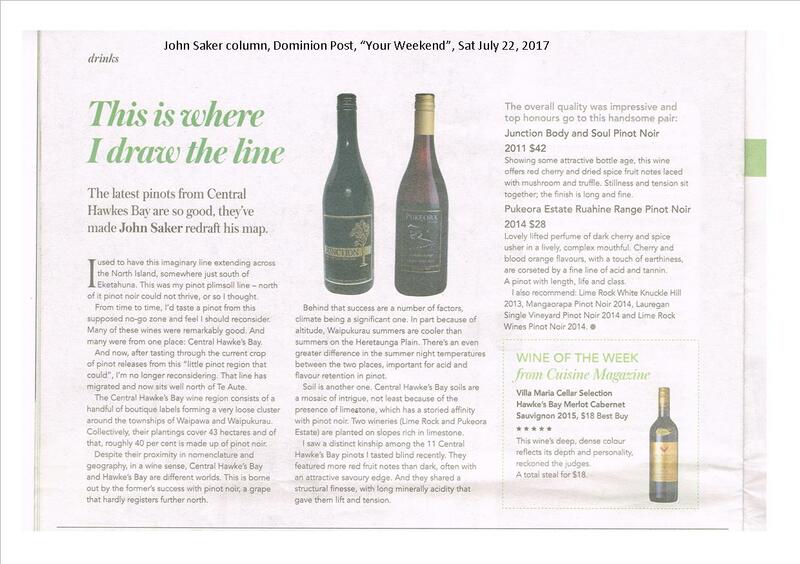 Pinot Noir Geographic Boundary Redrawn: A great review for Central Hawke's Bay wines by John Saker in The Dominion, 22 Jul 2017. See Article. Cellar Door: The cellar door is open in summer season. Please see top of this page for specific times. Come in for a complimentary tasting, and view local artist Laura Wilson's paintings in our new gallery (for more see goldstarwork.com). Export: We have since Feb 2014 been exporting some of our wines to Singapore. If you happen to be passing through Singapore there is no better pace to grab a wine (on and off sales) and a bite to eat than Merchants of Singapore. Latest Vintage: The 2017/2018 season was a great vintage. A moderate frost free start, a warm mid summer with excellent flowering producing a good sized crop. Ripening progressed smoothly dodging a passing cyclone in autumn. As we were winding down with the property on the market, we sold some chardonnay grapes and didn't pick the pinot noir this year. We still harvested 13 tonnes for our own production. The prior 2016/17 season was a little mixed, starting cool, heating up in mid summer, a dose of cyclonic weather in early autumn with enough nice late warm weather to finish off our harvest with 20 tonnes picked. Wifi for Guests: For those guests who need wifi we have free wifi available through various areas of the complex (not guranteed in all bedrooms but in many of the social areas wifi is available). For local information a new website provides a great guide to our district: www.chb.net. Despite the fact that that we are on the market, we are still proposing to host the 2018 Festival from 6th-9th September. Hope to see you at the next Festival. We are proud to have hosted the 15th annual The Festival (art, crafts, food, gardens, antiques and entertainment not forgetting of course, wine) in September 2017 with around 120 artisan stall holders touting their wares. The Festival is always a great success often with 3-4000 visitors over the 4 day event. This year there were demos each day and Sunday was a special "blokes" day. See www.thefestival.org.nz. The next quilting exhibition will be held from from Fri 23rd to Sun 25th March 2018. Please see Wine Country Quilts for more information. 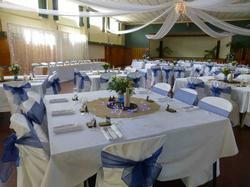 You can see us on facebook "Pukeora Estate: Wines, Venue, Accommodation".